The new iOS 11 has a lot of features. One of these features is the “Do Not Disturb while Driving Mode.” The feature is meant to prevent you from being distracted while driving and considering the high number of accidents that are caused by distracted drivers, this is both a great feature and a safety feature. All calls, text messages and notifications that you receive when the mode is activated will not reach you. Those trying to reach you will be notified that you are driving. Once you turn off the mode, you will be able to receive all notifications as you normally would. But how does it work? 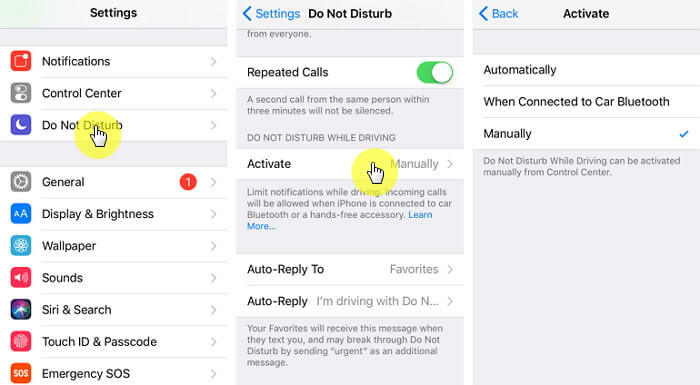 We have put together a guide on how to use the “Do not Disturb While Driving” mode effectively. 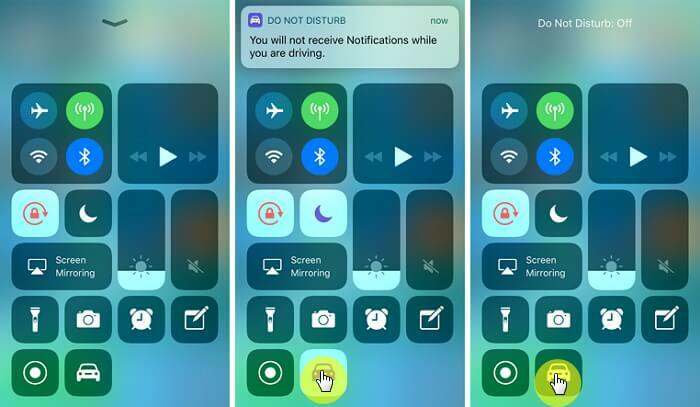 Before we show you how to turn the mode on and off, we should let you know that while setting up the device, Apple will ask you if you want to turn on “Do Not Disturb While Driving.” If you choose to enable it at this point, the feature will be automatically activated whenever the device suspects you’re driving. 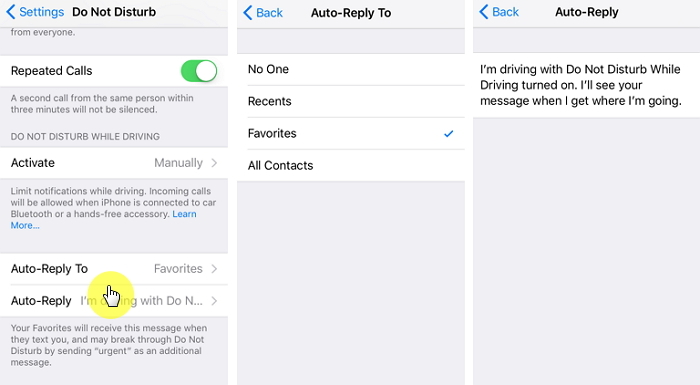 After turning it on, you will also get the option to turn on “Auto Reply” which is an automatic message sent to whoever tries to call while you’re driving. If you however choose not to enable it while setting up the device, you can do so in settings at any time. Here’s how to do it. Step 2: Scroll down to the “Do Not Disturb While Driving” option and tap on “Activate” to either turn it on or off for manual use or change how it detects when you’re driving. When Connected to Car Bluetooth: This option will turn on “Do Not Disturb While Driving” when you connect the iPhone to the vehicle’s Bluetooth. To set up the Auto-reply feature, follow these simple steps. Step 1: From the “Do Not Disturb” menu in Settings, choose Auto-Reply. Step 3: You can also change the message in the “Do Not Disturb” menu. Simply select “Auto Reply” and edit the message to say whatever you want to say. The easiest way to disable the feature is to pull up Control Center and tap on the car icon. This will toggle the mode off. You can do this even if the screen is locked. If the person trying to contact you needs to reach you, like in the event of an emergency, all they have to do is reply to your “auto-reply” message with the word “Urgent” and you will receive the message. They will know you’ve received the message because Apple will send them another message letting them know. You will also be able to respond right from the lock screen if you need to.